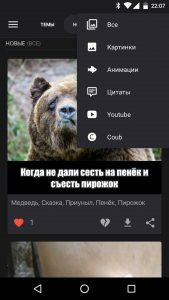 Crazy Picture – it is a new, free app with the best posts, jokes, quotes and videos. Watch every day new pictures, animations and videos that we have specially selected for you. 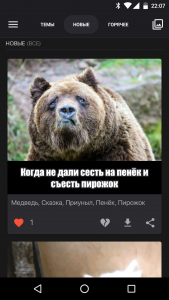 Share the memes that you liked with your friends in VK, Facebook and Twitter or send it by SMS or email. Crazy Picture has a large database of images, animations and videos which are always with you. We carefully select the best pictures, gifs, videos and coubs from around the internet. Every day a new piece of memes. Our memes are sorted by topic. The easiest way to share images with friends. Ability to save in your favorites. Didn’t like the picture? Press dislike and we won’t show it again! We can keep talking about it the whole day… Well, what are you waiting for? Hurry up and install the application!